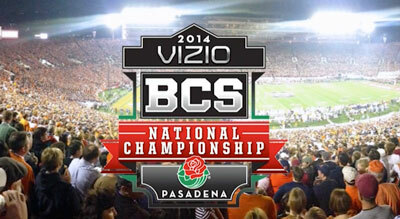 A big congratulations to the Florida State Seminoles and the Auburn Tigers for a fantastic BCS Championship Game at the Rose Bowl. It was a pleasure to provide the fireworks and special effects for the event! Check out some firework highlights of the game in the video below. Do You Have Experience with Pyrotechnics? Nope, but I'm eager to learn! Yes, I've helped on a show before. Yes, I'm a licensed operator. What is the Expected Date of Your Event? What is the Location of Your Event? An address is preferred. If unknown, please provide the expected geographic area. Want Us to Stay in Touch? Yes, please send me periodic emails about exciting stuff. We will never share your contact information. With an iron-clad commitment to highest level of service to our customers and all governing fire authorities, we use the finest resources in the industry to provide a safe, cost-efficient, and, well… spectacular fireworks show each time, every time, all the time. © 2019 Pyro Spectaculars by Souza. All rights reserved.